Capturing screenshots is a basic option for Android devices since Android 4.0. However, if you want to take area screenshots on your Android, there is no stock option available for the purpose. 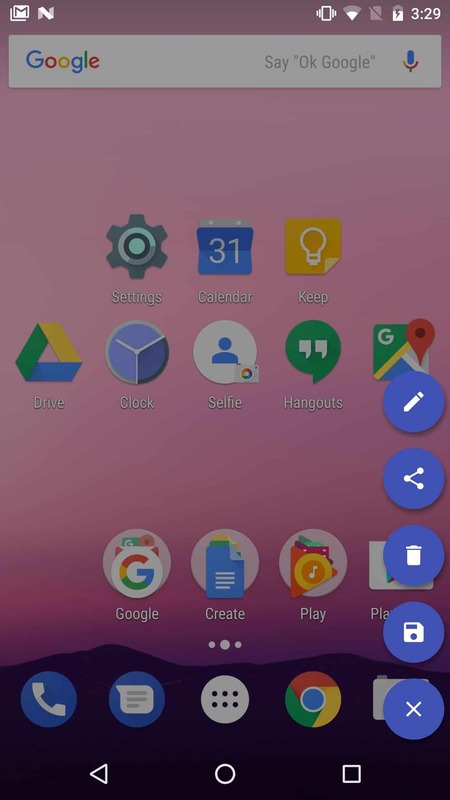 Some phone manufacturers like Samsung and LG added the ability to take partial screenshots to their exclusive UIs and it looks like Android Nougat 7.1.1 is about to get a native function for capturing area screenshots as well. 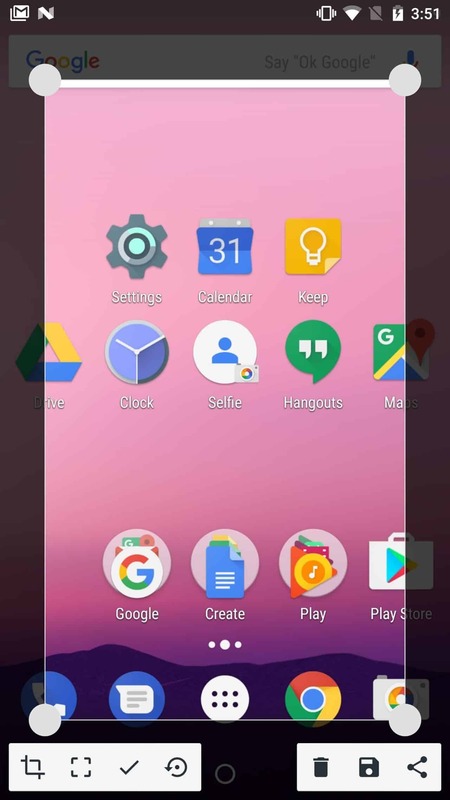 Nevertheless, a simple app allows you to take area screenshots on your Android device regardless of its brand. All it needs is to run Android KitKat 4.1 or a newer version. 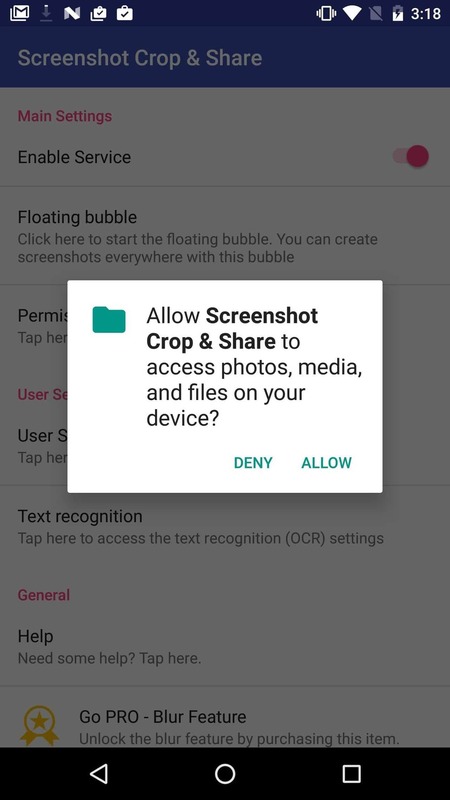 The app is called Screenshot Crop & Share supports devices running Android KitKat 4.1 up to the latest version. To install Screenshot Crop & Share visit the link below or search for the app’s name in the Google Play Store app. When you launch the app for the first time, you’ll be taken through a welcome guide that shows the features provided by Screenshot Crop & Share. 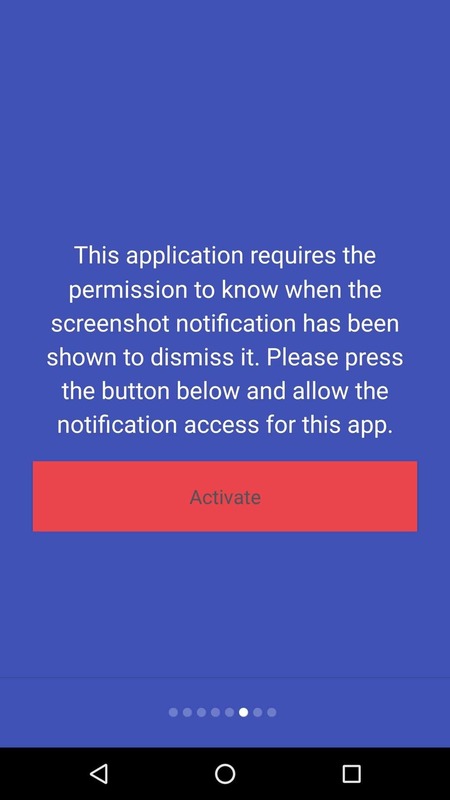 You will also need to grant a few permissions for the app to work properly. For those with devices running Android Marshmallow 6.0 or higher, there will also be a request to grant storage permission. Now that you set up Screenshot Crop & Share you can grab a screenshot like you normally would. For most Android devices the way to capture a screenshot is to hold the Power + Volume Down buttons at the same time, but depending on your phone’s manufacturer you may need to use a different key combination ( for example, Samsung devices have the Power + Home key combo). Instead of simply taking a full screen screenshot, the app will show a toolbar at the bottom with a few options. To take an area screenshot, tap on the pencil icon to enter edit mode. Then, you can adjust the area you want to capture and save the image. Even if Google adds a native option for capturing partial screenshots on Android 7.1.1 it can take months for devices to receive the upgrade, and older models might not get it at all. 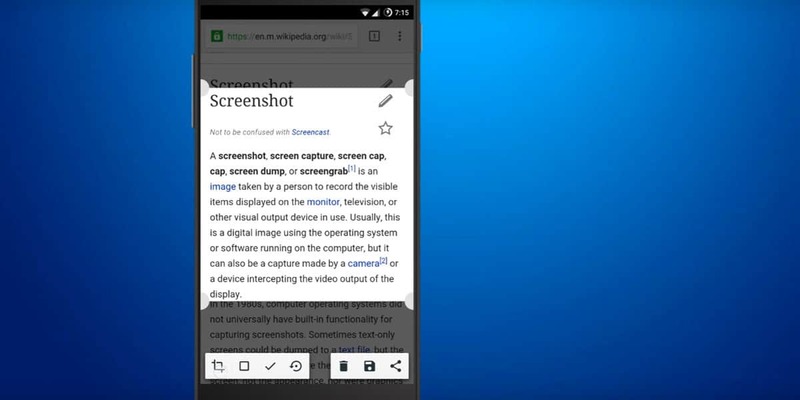 As a result, Screenshot Crop & Share provides an easy way to take area screenshots on your Android, as long as it’s running KitKat 4.1 or higher. 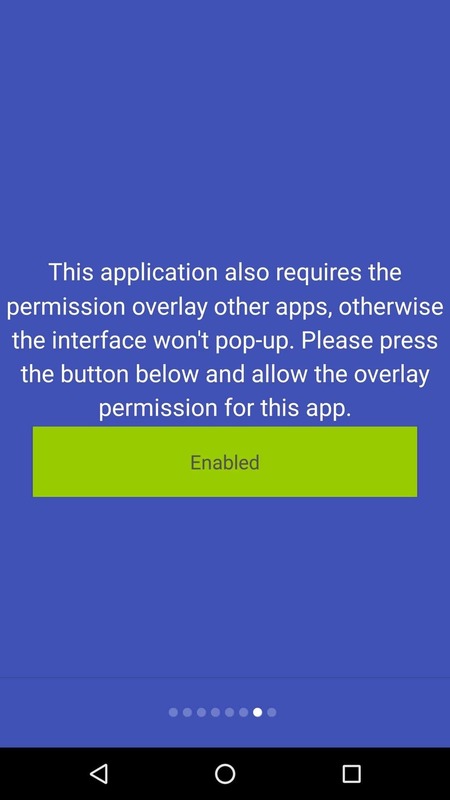 It doesn’t even matter if you have a device from Samsung, HTC, LG or another manufacturer that implemented a custom UI, this app works with all of them.